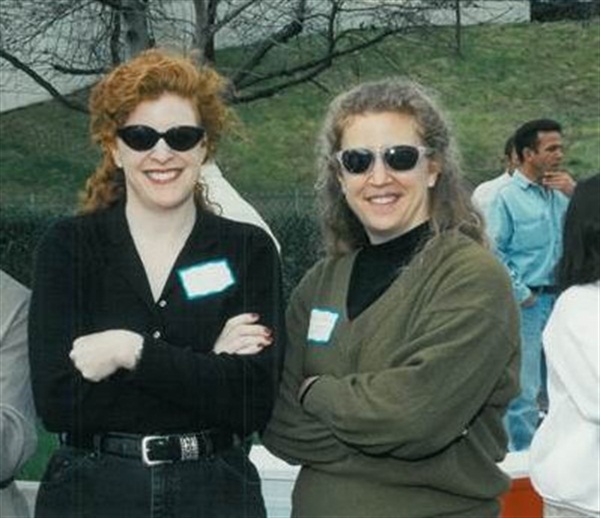 In this #throwbackthursday photo, Cyndy Drummey and Erika Kotite, both former NAILS editors, attend one of our quarterly parking lot picnics at Bobit Business Media. Judging by the height of Cyndy’s jeans, this was definitely taken in the ʼ90s. “Too bad I don’t still have them… I hear they’re coming back,” says Drummey, now Bobit’s vice president. She can be seen wearing her signature red nail polish in the photo. Kotite left NAILS Magazine in 1998, but we’re thrilled to have her back as our new editor. After spending more than a decade away from us, she’s back where she started. See what she has to say about NAILS in this Instagram video. Feel free to send her an email at [email protected].